Increasing costs is a fact of life. And since living in metro cities could mean more strain on your pockets, here are a few tips you can follow to stay afloat. 1. Have a zero-based budget before the month begins. Chances are, if you don’t have a budget, your spending is all up to guesswork. You can never tell if you’re paying too much on living costs, if you don’t even know how much is going where. US financial guru Dave Ramsey suggests spending your income every month on paper — on purpose — before the month begins. This way you know exactly how much your household is living on. 2. Reduce your outgoings. Try being a minimalist or just being frugal and see how it can help you see through the clutter in your budget. Eliminating unnecessary “stuff” from your budget enables you to learn how to live on 60 to 80 per cent of your income. Eating out, for example, eats up a huge chunk of most people’s budget. Nearly 7 out of 10 people in the UAE eat dinner out at least once per week and spend an average of Dh120 per head, a study shows. For a family of four, that’s Dh24,960 a year or Dh1,920 a month. If you’re a double income household, agree with your spouse to live on one income for one month and save and invest the other. Or try a no-spend week or no-spend month. Do it till it becomes a habit. 3. Resist the ‘upgrade culture’. So what if your car is seven years old? Having no monthly car payments means more money to live on. We can also learn to forego the next big tech release such as the latest smartphone or gadget. We can also downgrade our mobile plans. Cutting down on entertainment spending also helps. When you get a raise, treat it as automatic savings. Ditch the If-I-get-a-raise-I’ll-buy-this mentality. 4. Try the sinking fund approach. Forecast your expenses for the whole year and map out all the big ones: school fees, car registration, holiday and the like. Divide the required amount for each of them by the number of months before they’re needed and save up in advance. 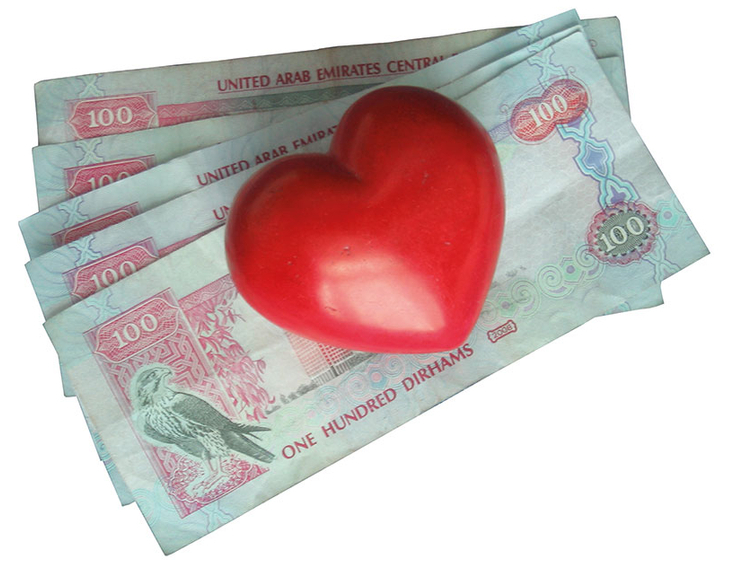 For example, if your car registration worth Dh3,000 is due in February, tuck away Dh1,500 every payday. By the time your renewal comes up, you already have the cash for it. 5. Eliminate debt. Mounting consumer debt not only increases your living expenses, it also makes life a living hell for many. Imagine giving 50 per cent or more of your hard-earned money to your creditors month in and month out. Pay off all your debt like your life depends on it — whatever it takes. Once debt-free, stay debt-free. Channel all the “excess” money that you would have used for debt repayments to savings for a three-to-six month emergency fund. After that, start investing. 6. Increase your earning power. Invest (and increase) your surplus. “The best way to secure your future from inflation is to start saving today and invest your money diligently,” said Naveen Sharma, chairman of the Institute of Chartered Accountants of India-Dubai Chapter. Once you have intentionally made a surplus with your money, invest it only in instruments that you understand and have made a good background check on. To beat inflation, strive for returns that are much higher than the country’s annual inflation rate. Research your country’s available financial schemes. In Malaysia, for example, a savings scheme for nationals offers 8 per cent returns on average. In the Philippines, similar government schemes are available but with slightly lower returns; in some years, they offer a higher rate of return. You can also try bonds, stocks or mutual funds, investing in your country or internationally. Parents who need to save for their kids’ college education can start long-term mutual fund investing for that purpose, as early as their kids are born. The key is to start early and save consistently. Use this method when you’re planning to build a house or buy land. Let time and consistency grow your money.